The Yogiville Gurukul 200-Hour Yoga Teachers’ Training Course delivered over three weeks, will introduce you to the key concepts and practices of Himalayan Hatha Yoga. The course is certified by Yoga Alliance Professionals UK and will be delivered by Yogi Ashokananda. You will be able to immerse yourself in your practice and studies away from the demands and distractions of your daily life. To experience this in the warmth of India, the land and home of yoga itself, is a unique experience not to be missed. Introduction to the various asanas in a systematic manner with progressively increasing level of difficulty. Introduction to basic philosophy, concepts and history of yoga. Includes various traditional philosophies, viewpoints and insights from modern research and ways in which the essence of this holistic life-view can be integrated into a modern lifestyle. Himalayan Hatha Yoga is one of the forms of yoga founded and taught by Yogi Ashokananda. It is based on traditional principles of yoga. A strong, yet supportive form of yoga, working through the entire body, cleansing and revitalising through special sequencing with a combination of subtle body exercise. Yogi ji’s teaching style manages to instil a sense of discipline in the mind and body without stress. His expertise and caring attitude towards his students provides a supportive environment where you can develop your practice at your own pace, and in a way that is unique to you. 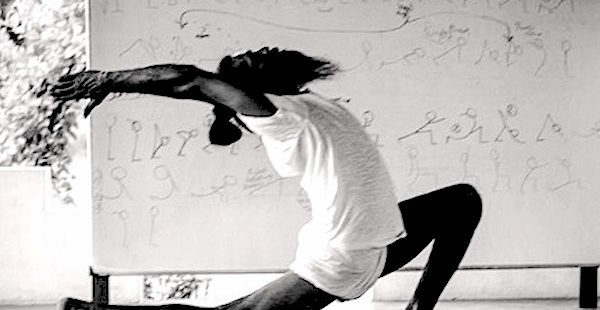 Each person’s motivations for wanting to embark on a yoga teachers’ training programme are different. You may want to change your vocation in life and work towards teaching full time or you may want to deepen your own practice and understanding of yoga and its philosophy. Whatever your motivations are, this teachers’ training programme will allow you to experience both insight and exceptional training of the highest standards into the depths of Himalayan Hatha Yoga. Yogi Ashokananda is highly regarded as an authoritative pioneer in his field and a master of yoga, meditation and spirituality. The applicant should be in a good physical condition; physical work approx 7 to 9 hours daily. You must complete 200 hours of study, 180 hours of which must be contact hours with Yogi Ashokananda (the other 20 hours will be allocated for assignments and coursework). All of the required hours you need for the course will be completed during the 21 days you are in India. Training to be a yoga teacher can be enormously rewarding, challenging, confronting and ultimately, wonderfully life changing. We are served by two airports in the region, Chennai (Madras) and Bangalore. Airport transfers to/from either airport to the Ashok Tree can be arranged at an additional cost.